Priced At £14 each, one could easily argue that they are aimed at the same kind of market as MAC. So let’s see how they shape up shall we? 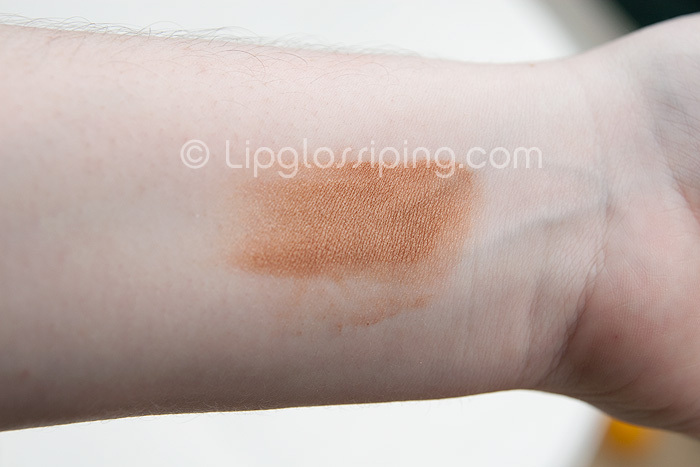 Warm Glow is the paler of the two shades and despite it’s name, isn’t actually too warm at all. A hint of pinkness mixed in with the warmer brown tones keeps this from being too orange. 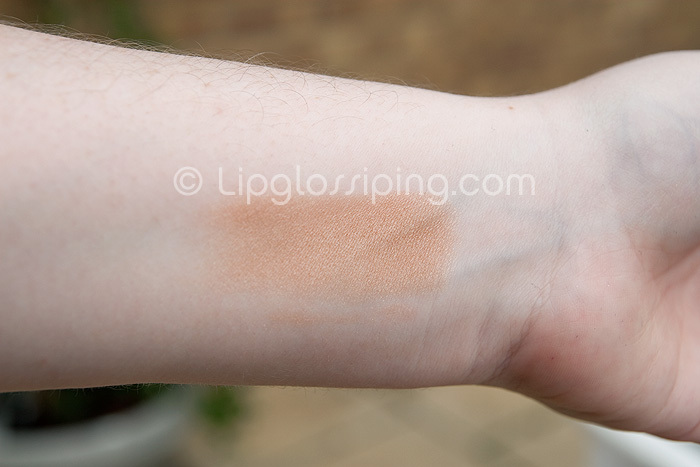 Well pigmented with a fine shimmer, the above shows a heavy swatch on the inside of my wrist. You can see that I have to work quite lightly with this bronzer but to be honest… that’s the case for 99.9% of all bronzers I use anyway! What I really like about this product is that unlike the MAC MSFs I’ve tried in the past, this doesn’t give my face any kind of metallic sheen. 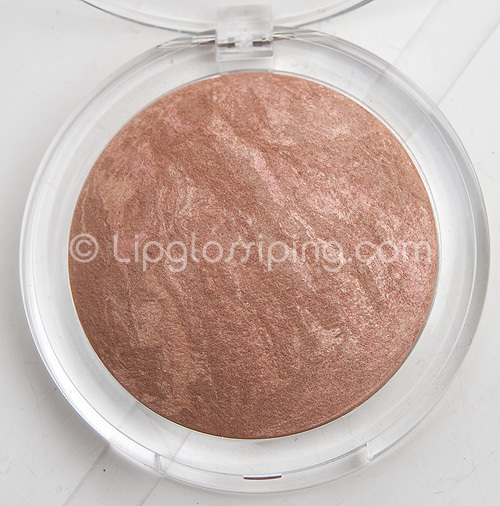 The shimmer adds a glow without being too obvious. I wouldn’t use this to contour, I prefer to use matte shades for that… but dusted lightly onto the cheeks? It’s a really nice warm (without being too warm) bronzer. A far deeper affair than Warm Glow. 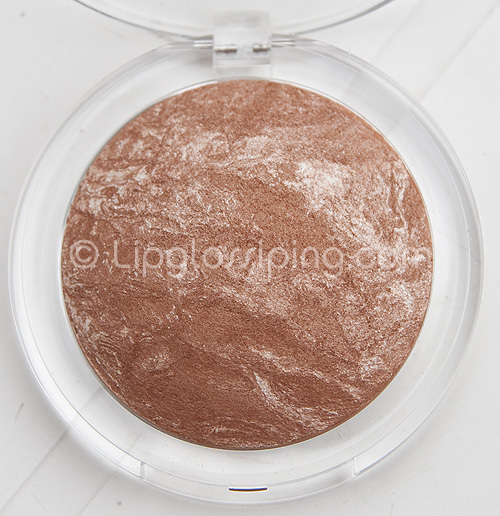 Golden Bronze is clearly more suited to darker skintones or those looking for a more dramatic effect. I found the texture of Golden Bronze to be a tiny bit harder than Warm Glow, it didn’t swatch quite as smoothly either. You can see that I would struggle to use this shade as anything other than an eyeshadow but again, it benefits from a lovely sheen that isn’t too obvious. Overall, I was impressed with both of these samples I was given and it’s not very often that I’ll say that a Body Shop makeup item is worth the asking price. I ‘get’ why it’s more expensive than other high street offerings… products produced from ethically sourced base ingredients often are. But judged purely on it’s quality as a cosmetic product? These are worth the asking price. 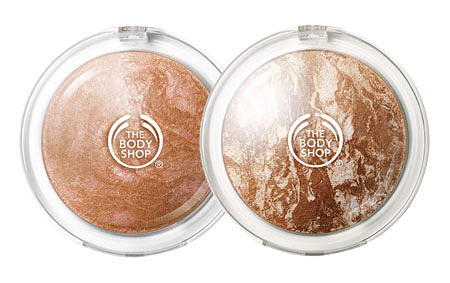 You can purchase the Baked to last Bronzers online or instore priced at £14 each. I feel the price of these is valid (I often find that TBS can be a bit overpriced on certain things, e.g. the shimmer cubes) but I have been giving these some serious love since I first got them. My mum has taken the lighter one and she manages to use it in a way that I can’t fathom and she won’t tell me! I need to get the lighter one back from her as I’m sure it’s my winter shade. Oh these look nice! I like the first one better, the second one is way too dark for me! Finding a good hairdresser. Never give up. Introduce your BFF to Smashbox and score a FREE Try It Kit! Food Friday: Fruit, just um… eat it.